I try two way how to cook this mahi-mahi, Can be marinate first with apricot sauce mixture about ten minutes or so. Or brush the fish both side with the sauce and cook in a skillet right away for 3 minutes each side or until cook through and spoon the remaining sauce on top, I like either way. 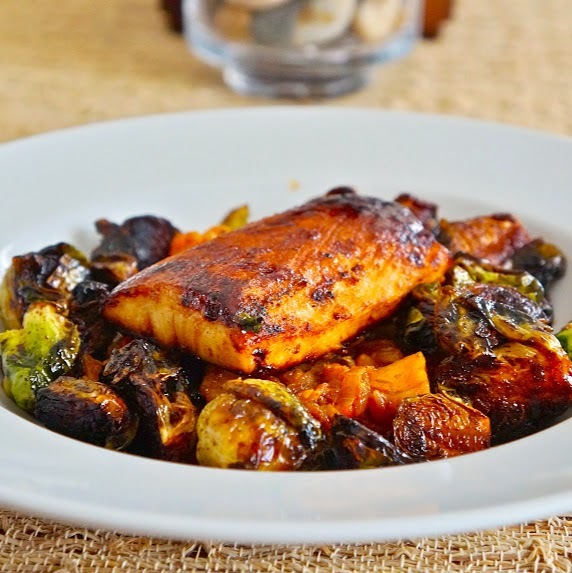 I served this seared mahi-mahi with caramelized brussel sprouts with sweet soy sauce and potato dish, it's perfect meal for dinner that evening. Ready to serve with any side dish with rice or potato dishes.